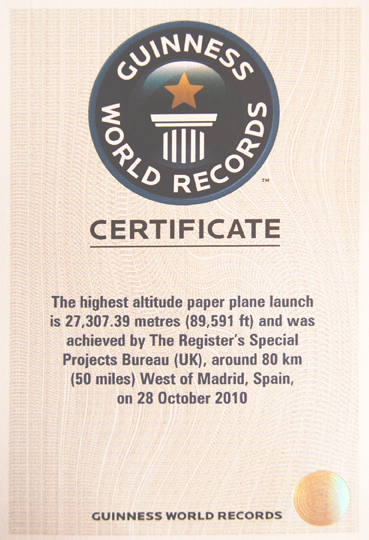 Fans of our Paper Aircraft Released Into Space (PARIS) mission will doubtless want to join us in raising a glass today to our Vulture 1 aircraft – now officially the holder of the record for the highest launch of a paper plane in the history of aviation. 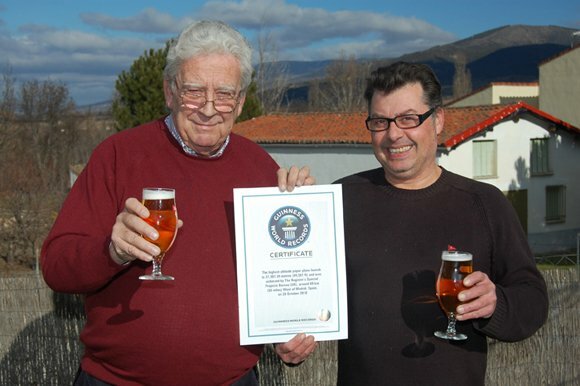 Yes indeed, PARIS has been awarded a Guinness World Record, and we have a lovely certificate to prove it. We actually applied for the record some time ago, then completely forgot about it. Last week, we got an email from Guinness World Records asking for clarification on a couple of technical points of our audacious mission, and it was only then that we realised we'd made it into the history books. Well done that man. 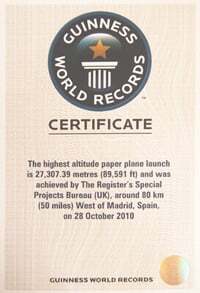 For the record, the Guinness World Records query regarding the "couple of technical points" was prompted by rival paper plane teams who'd been in touch asking just what they'd have to do to challenge the record. Our dedicated PARIS section is right here. If you don't understand what PARIS was about, try this mission summary. 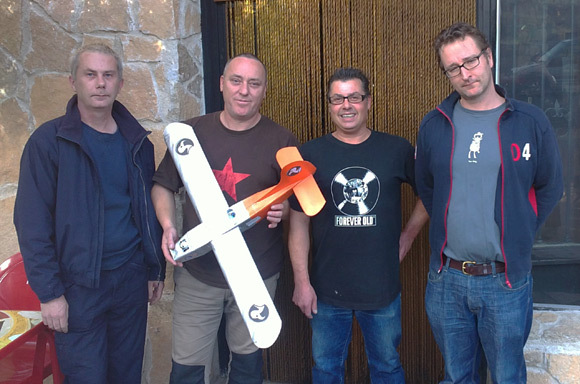 Our Flickr page contains all our PARIS snaps, as well as images from our ongoing Low Orbit Helium Assisted Navigator (LOHAN) mission. All of the Special Projects Bureau videos live down at our lovely YouTube channel.